I think I blinked on Thursday and suddenly it was Monday, again! Ah! Lots of things going on the last few days and I actually didn’t take a single picture during any of our activities because we were having so much fun and just all over the place. Shopping tip #1- never ever skip the clearance sections. Even if they look a hot mess, it is alwaysss worth the dig! Shopping tip #2 for all my petite/small ladies out there- don’t forget to check the kids section! I found my sister-in-law the cutestttt faux fur vest in the kids department for $20 and it fits her perfect! When you’re small vests in particular can really overwhelm your frame so sometimes you need to think outside the box! 🙂 I also go to the kids department first for athletic shorts and tanks like UnderArmor and Nike, Northface fleeces/pull overs and outerwear like vests. Because kids sizes 12-18 tend to run wide/oversized you can find lots of things that fit and don’t look like you’re squeezing into a tiny size. I promise! After (a few hours of) shopping I headed home to have some Chipotle and a quiet night in with the hubs. We watched some Parenthood and relaxed a little, it was great! I headed to bed early because I was worn out from the week. The hubs traveled all week so it was nice to have some quality time together. On Saturday morning I was up early to go style some outfits for a client. I haven’t been taking many client appointments lately because I am honestly just too busy. I was a little stressed that I was spreading myself too thin when I agreed to style her for a couple of hours but it ended up being really energizing and a great start to the weekend. I forget how much I am in my element when I am styling a client and I end up getting so many endorphins, similar to when I work out. It was great! 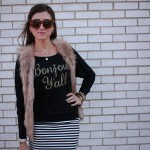 We styled everything from holiday looks to weekend wear to those pieces that just needed some extra love in her closet. 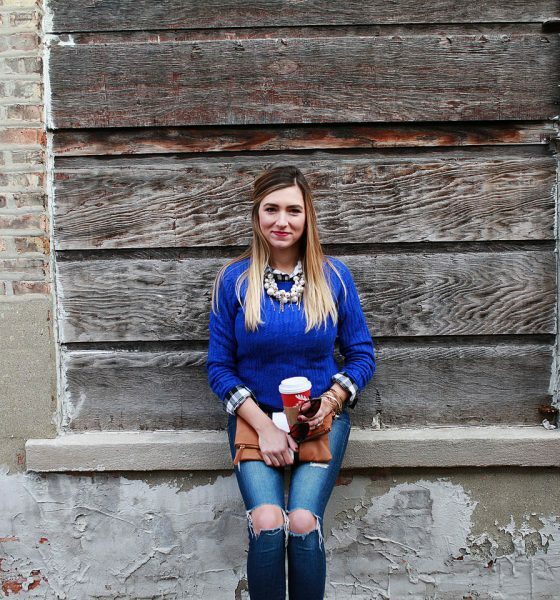 If you’re interested in setting up a shopping or style session, please reach out to me! 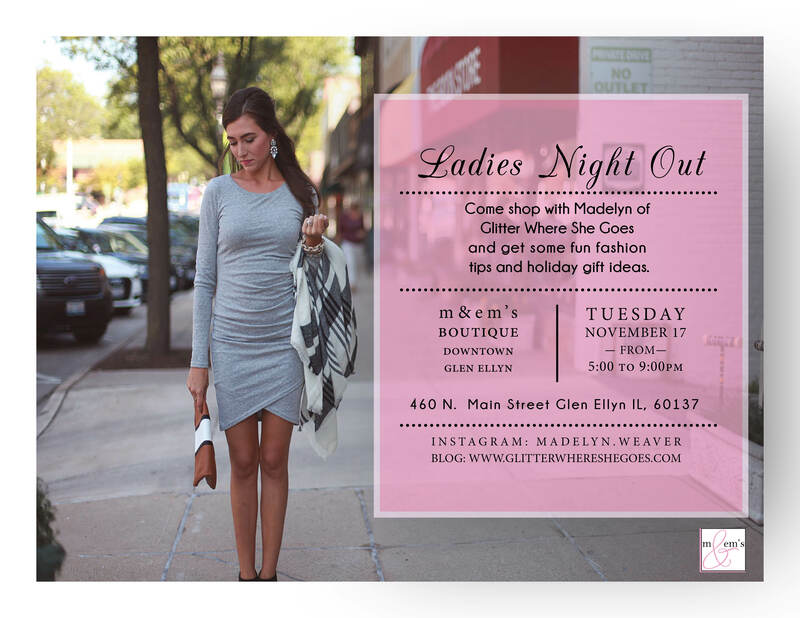 Or if you’re in the burbs come shop with me tomorrow night at M & Em’s Boutique in Glen Ellyn for ladies night out! It’ll be a relaxed and fun night where you can ask me style questions, gift recommendations and/or for outfit ideas! All the details are below! 🙂 After I finished up with my client I met the hubs over at the house to check up on the painters and supervise the hubs racking the leaves. Ha, just kidding he’s perfectly capable of doing it on his own and he didn’t need me at all. We ended up hiring painters to do the first floor, ceilings, hallways, trim and our bedroom because we want to get in ASAP and really don’t have the time (or desire) to do it ourselves. If you follow me on Pinterest you know I love neutrals for home decor and after sampling 8 grays (not including the current color at our condo) I decided on Revere Pewter by Benjamin Moore for the entire house. It’s the perfect neutral shade because it has brown and gray tones in it and looks different in every light. I can’t wait to layer gold/black/silver and some color with it depending on the room. No this isn’t our house, just some of my inspiration rooms. 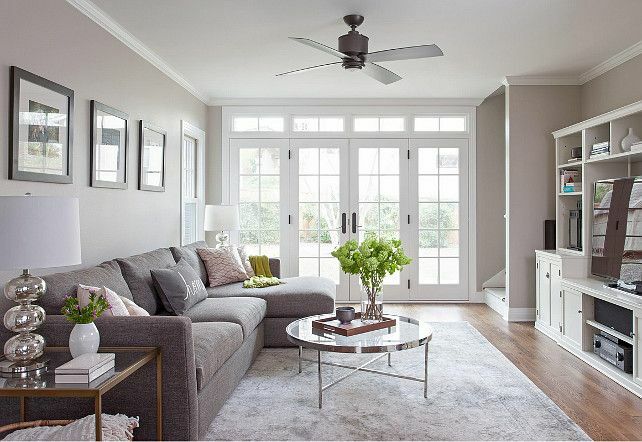 We had all the trim, windows and doors painted White White by Benjamin Moore for a clean/crisp look. Our floors are hard wood and I can’t wait to add lots of fun area rugs! 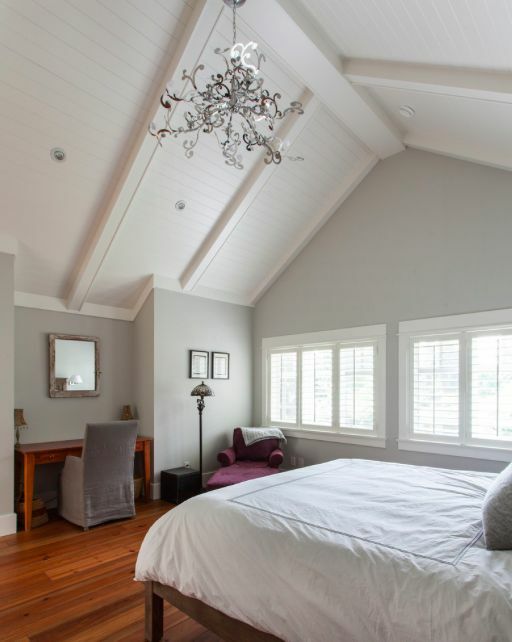 We did the master in Gray Owl by Benjamin Moore and it’s also an awesome gray option. I realize it’s not super different from the Revere Pewter but if you see it in person it’s more of a true soft Gray and doesn’t have ANY blue tones which was hard to find. We have a lot of natural light in our house which is great but also really tricky for picking paint. Make sure when you sample colors you do a couple coats and go see it at different times of day to make sure you like it in different lighting. After stopping by the house we headed home to pack and get ready for our night downtown. It’s such a treat to get a free night downtown complete with dinner/shenanigans on the town and a stay at The Trump. Staying in the city is so expensive so we never do that unless it’s a special occasion so being spoiled the last couple years at The Trump is a-maz-ing! It was even better this year since my brother and the hubs are in the same region at work so the four of us get to have all this fun together! Siblings are the best! 🙂 Lots of champagne and photography don’t mix (shocking, I know) so this image is from their website but this is almost identical to our room for the night. Pretty gorgeous, huh? 🙂 We met up with the hubs other co-workers for some pre-dinner drinks and then headed to the upstairs room at RPM Steak. I’ve been to RPM Italian a few times which is delish so it was fun to try their sister restaurant. So I’ll be honest, this isn’t really my scene but it is fun every once in a while. I don’t know how people do the club life regularly though, it’s exhausting. Am I aging myself or what? I much prefer a more relaxed night of drinking and actually being able to talk to the people who you’re with, but that’s just me. 😉 If you’re looking for a fun night though, check it out for sure! On Sunday morning my brother and I grabbed coffee and breakfast for our other halves and relaxed at the hotel before checking out and heading back to the burbs. We were supposed to do brunch and shopping but somee people, I won’t name names, can’t hang and were in bed until the afternoon. 😉 Too bad since it was a beautiful day to be downtown but oh well. We got to go see the house all freshly painted and I am SO happy with the paint I chose. It looks like a completely different house! Yay! 🙂 Now we can start moving stuff inside and buy furniture! We spent Sunday night drinking tea and relaxing which was so needed. I also spent a little while working on my gift guide for the next month or so which actually takes longer then I thought but I’m excited to share some ideas with you all! 🙂 If you have any requests make sure to comment below or on my other social media pages so I know who you’re shopping for and what’s on your mind. November 13: I am thankful for my siblings and that my brother celebrated his golden birthday! 13 on Friday the 13th! I have been so blessed by my siblings and know that many people are not so fortunate! November 14: I am so thankful to have clients that invite me into their homes and lives and let me style them. It’s such a blast! November 15: I am so thankful that my husband has a great job. He works so hard and deserves a night out to unwind and get to celebrate that. Having ANY job shouldn’t be taken for granted and we need to be thankful everyday. November 16: I am thankful for people who have skills I don’t like painting, designing, contracting and so much more. It takes a village I tell you and it’s ok to admit you can’t do it all and ask for help! PS- If you missed any of my recent looks you can shop some of my featured products below or my outfits on Instagram when you create an account with liketoknow.it and like any photo with that link on both my Instagram and Facebook!